Talk to anyone who’s worked with us and you’ll learn why Trialon is known industry-wide as the high quality, customer-focused testing and validation company. Our range of services extends far beyond the traditional test lab offerings for which we are known. At Trialon, we have leveraged our nearly 40 years of validation experience to provide clients with additional benefits in the area of Environmental Chamber Maintenance and Repair. If your organization operates its own testing facility, our Independent Services group can provide a range of expert chamber maintenance services, delivered by a team of cascade refrigeration technicians with a combined 110 years of service experience. We service our customers’ chambers with the same care and attention to detail as we do our own equipment. Cascade refrigeration systems used in Environmental Chambers are very different from residential or commercial HVAC systems. Few, if any, residential or even commercial HVAC shops understand cascade refrigeration well enough to make proper repairs. Calling a local HVAC contractor may seem like a simple solution to repair a faulty unit, but resist the temptation, as doing so will likely result in a failed repair. 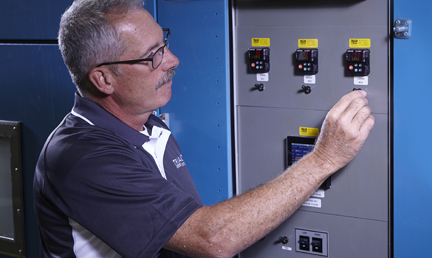 Our engineers and maintenance technicians understand the complexities of cascade refrigeration systems on a variety of manufacturers’ chambers, meaning they are always the best-qualified for the job. 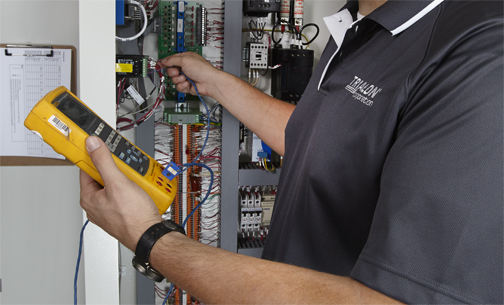 Trialon’s Independent Services group has been maintaining customers’ environmental chambers for years. Unlike many other OEM chamber repair groups (which service only one particular brand), Trialon’s EPA-certified technicians are trained to provide maintenance services on a wide range of manufactures and models of test chambers. Trialon is preferred service center for Tenny.